I am thinking about becoming a Irish Dudeist! Aren't those tenets just like your opinion man? Yes, they are. However, certain information came to light when I was spending an evening surfing the world wide web a few years back and I came across our brothers and sisters website Dudeism.com; which is based in the United States. I was so taken by the philosophy behind Dudeism in the U.S. that I immediately signed up to be a Dudeist Priest! Now my aim is to bring a similar philosophy/religion to Ireland (an offshoot of Dudeism if you will!) with the obligatory Irish slant and to gather like-minded souls (Irish Dudes) together for the craic and to spread the word! 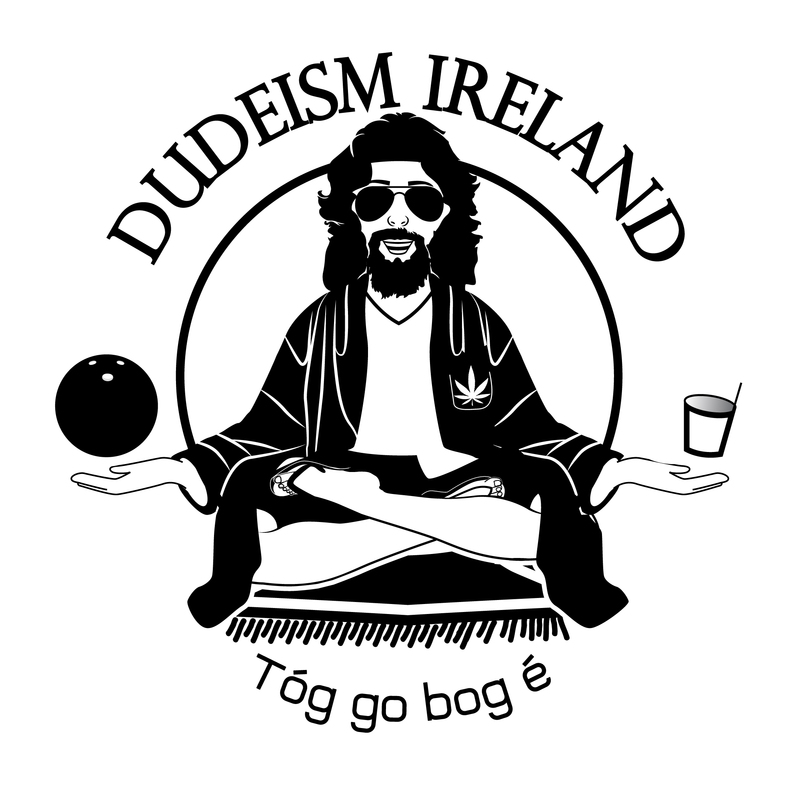 Before I register does Dudeism Ireland have a lot of ins and outs and what have yous? That's interesting man, sign me up! 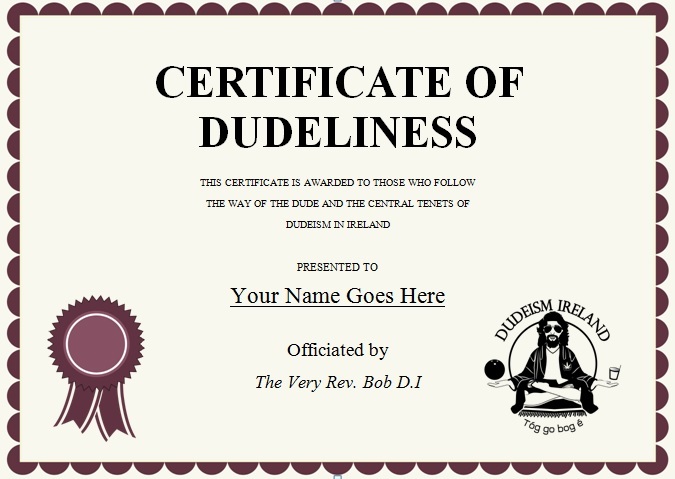 If you would like to have a free Irish Dudeist Registration Certificate that you can display showing your dedication or lack thereof to Dudeism Ireland you could email dudeismirl@gmail.com with your name!